The saying ‘work is something you do, rather than a place you go’ is ringing increasingly true for many of us, particularly for those who work in office-based roles in the service sector. In fact, research by the TUC based on ONS data suggests that 4.2 million of us, or 13.7% of the workforce, now regularly work from home and another 1.8 million people would like to do so given the opportunity. However, the office is not dying; it’s just changing in terms of the physical layout, the technology being used and the way employees work with each other and their clients. New technology has already driven a revolution in the way we work. Remote working, hot-desking and agile working are now commonplace for many firms, with offices offering a range of seating and desk options. Predicting just where the next generation of technologies will take the workplace is tough but it is possible to see some outlines emerging already. The main function of the office in such a world, even more so than it is already, will be to generate ideas, foster collaborative working relationships between colleagues and engage with clients. 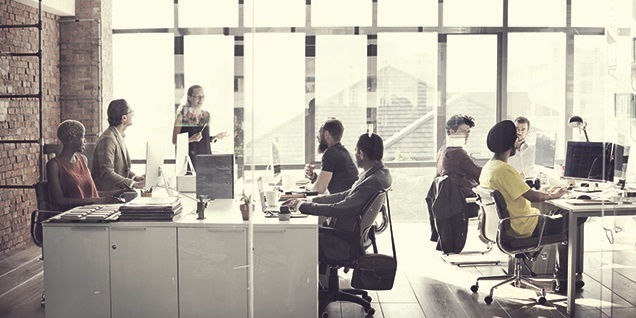 The quality of the office environment will thus play an even more critical role in attracting and retaining staff and in getting the most from them. Showing a prospective employee around the office is already an accepted element of the interview process - part of the ‘war for talent’. Having your own allocated desk is already a thing of the past in many offices and in future work stations will be more flexible and focused on the type of work being done. Instead, staff will reserve the type of work space with the appropriate layout and technology according to whether they are working alone or in groups. The spread of the ‘Internet of Things’ - the network of physical objects including machines, buildings, infrastructure and vehicles connected to the internet - will also revolutionise the office. Smart sensors will monitor buildings and people, and provide data that will improve the performance of the building, for example through lower energy use, and of its people. Your printer will sense when it is low on toner and automatically order more. Your window blinds will adjust to reflect sunlight, and heating and lighting systems will self-adjust in response to your preferences. Facilities managers will see at a glance which chairs are unoccupied at any given time - allowing for more efficient space planning and perhaps avoiding the scramble for hot desks when the office is busy. While the idea of treadmill desks may seem absurd to many office workers, fixed standing desks have now evolved into programmable active motion desks, which encourage the employee to move around during the day. It may sound even more far-fetched, but MIT professor Sandy Pentland has pioneered and commercially deployed the sociometer, essentially a smart sensor ‘badge’ that measures interactions between individuals. This provides data that organisations are already using to improve team culture, leadership and group dynamics. Looking further ahead, virtual and augmented reality technologies will also become commonplace. While virtual reality involves complete immersion in a virtual world and requires more expensive technology, augmented reality is a combination of the computer-generated and real worlds. Both of these technologies are set to play an increasing role in property, notably in terms of marketing existing buildings and those under construction, to the benefit of all in the industry - occupiers, developers, investors and lenders. In building design, flexibility will feature increasingly, both in terms of the exterior and interior - although, again, much of the technology is already here. Take modular buildings, for example, which have existed for decades; these allow for speedy and efficient construction, in addition to providing the ability to expand and reconfigure as the occupier’s needs change over time. Lightweight modular blocks that can be moved around are a key feature in Google’s proposals to redevelop a number of sites at its global HQ in Mountain View California. 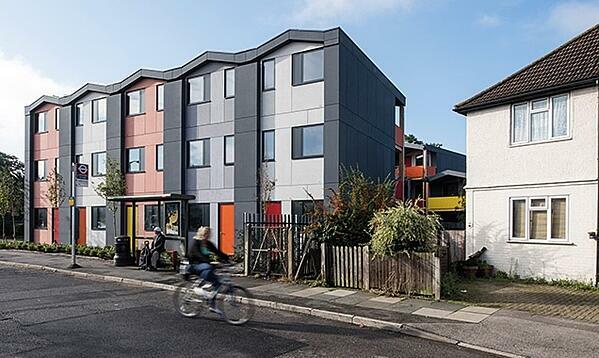 While prefabricated buildings often conjure up images of the mass housing that emerged in post-war Britain, they have improved significantly in terms of efficiency and quality of design and could play a major role in the future of the construction industry. The steadily increasing rate of technology-driven change makes forecasting the future with accuracy tough, but the most successful developers and the companies that occupy them will be those that also take account of the things that won’t change: the people working in them. It is likely the workforce of the future will be more highly skilled and cognitive and creative abilities will come to the fore. It is around these qualities that the best offices and organisations will be built. The changes coming down the track will require each area of property to re-examine how it operates. How will planning rules change in a world where infrastructure has adapted to an era of automation and far higher environmental benchmarks? How will tenant needs change if the gig or sharing economy grows as some predict? How will landlords need to adapt as radically different construction methods and technologies transform the built environment? It is time for everyone in the sector to start thinking about the future office which may take shape sooner than we expect.